Excerpt: Although a physical attack on the bulk electric system is always possible, the scope of the operation necessary to make a large scale impact falls outside the capabilities of the most likely attackers; it would simply be too difficult and resource intensive to mount a physical attack of any significance. Compromising a single or limited number of generation or transmission assets would most likely only have a local or limited regional impact, and could be mitigated in a reasonable amount of time. The operators of the bulk electric system are prepared for all single as well as the most likely multiple facility losses of this nature, and are well prepared to respond. 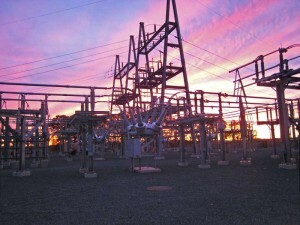 “Cybersecurity researchers from four universities and one utility company are working together as part of a Department of Energy (DoE) Center for Securing Electric Energy Delivery Systems (SEEDS) to help safeguard the nation’s power utilities from cyber attacks. The $12.2 million DoE funded initiative is augmented by $3.1 million in matching funds from the research participants. The team is led by faculty from the University of Arkansas at Fayetteville and includes faculty from the University of Arkansas at Little Rock, Carnegie Mellon University Lehigh University, researchers from Florida International University’s (FIU) College of Engineering and Computing and the Arkansas Electric Cooperative Corporation. According to an announcement, In the first half of Fiscal Year 2015, the Department of Homeland Security’s (DHS) Industrial Control Systems Cyber Emergency Response Team (ICS-CERT) responded to 108 cyber incidents impacting critical infrastructure in the United States. And as in previous years, the energy sector led all others with the most reported incidents. Meanwhile, the National Security Agency reported it has seen intrusions into industrial control systems used in the electrical grid by entities with the apparent technical capability “to take down control systems that operate US power grids,” according to the Congressional Research Service (CRS) report, Cybersecurity Issues for the Bulk, prepared for Congress this past June by CRS Specialist in Energy Policy Richard J. Campbell. Roughly two decades ago, NSA cyber sleuths reported they’d been able to hack into unnamed utilities’ Supervisory Control and Data Acquisition (SCADA) systems which gave them access to unplug a sizeable portion of the nation’s power grid.